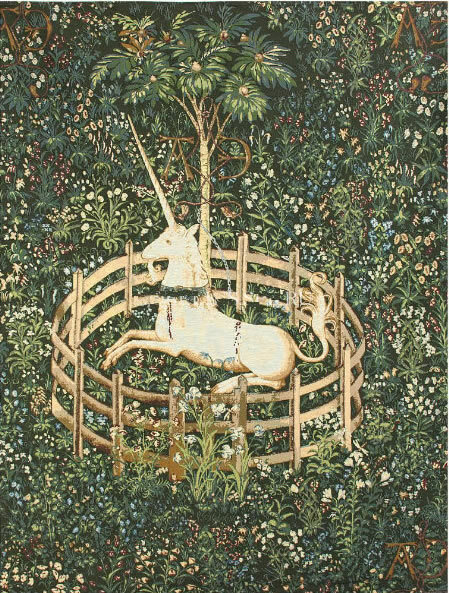 also available in size H24" x W34"
These famous unicorn tapestries were woven c.1490-1500 and are now on display in the Musee de Cluny in Paris. 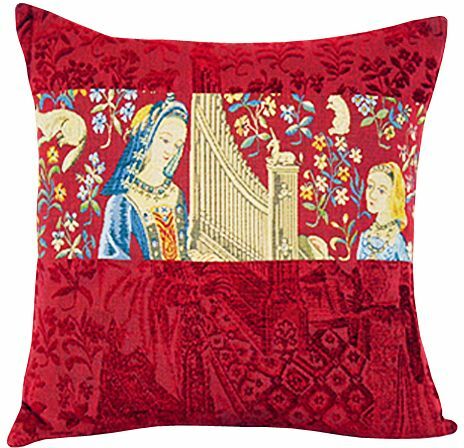 The Lady and the Unicorn tapestries, astonishingly, have kept most of their wonderful blue and red background and the colors of the clothes and the mille fleurs. Both in the design and in the weaving, they have a unique flavour. 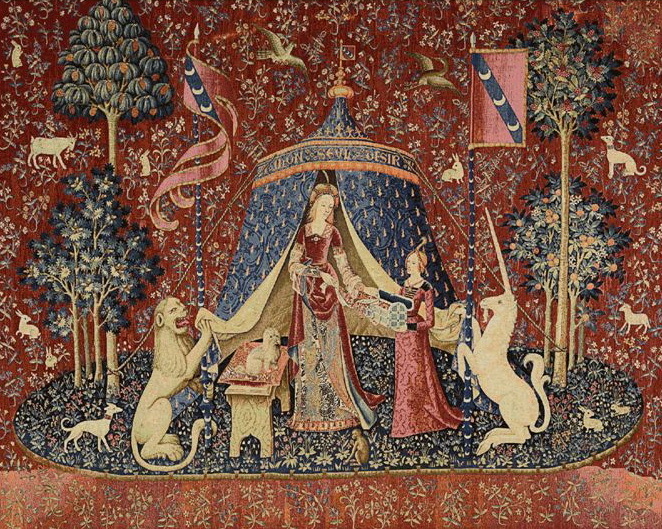 The Lady and the Unicorn tapestries have been surrounded by many romantic theories about who commissioned them. 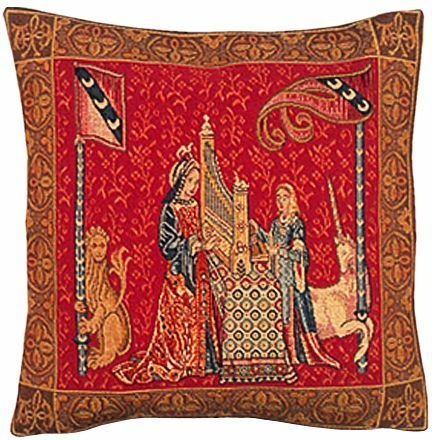 One legend says that they were made for the wedding of Prince Zizim who had the tapestry woven for his lady love while he was in prison. Another one states that they represent Margaret of York, third wife of Charles the Bold of France. We also offer a collection of Unicorn pictures for your décor. 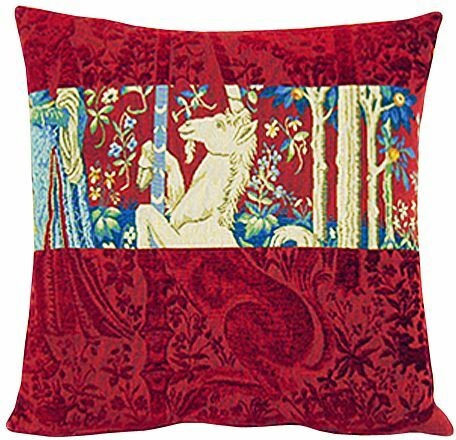 Unicorn pictures are often used in home interiors to symbolize purity, charity and meekness. The Unicorn (from Latin unus 'one' and cornu 'horn') is a legendary creature whose power is exceeded only by its mystery. The Unicorn is a horse-type animal with a single horn. During the Middle Ages a fable was told that although the Unicorn was impossible to hunt down, it was so impressed by the presence of a lovely virgin that it would run up to her and submissively lay its head in her lap. 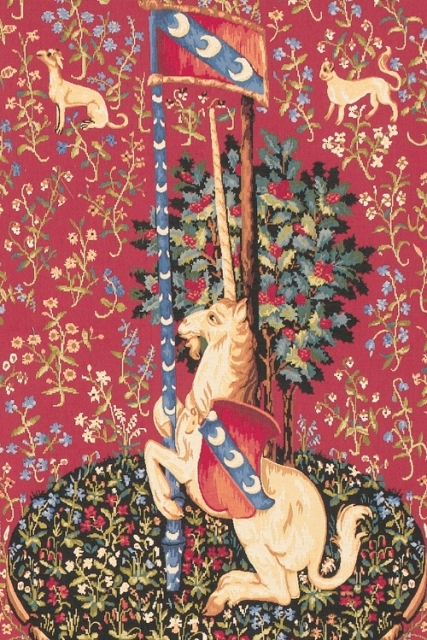 Unicorn pictures were very popular in the Middle Ages. Decorate your home with our collection of unicorn pictures!